of all faiths and spiritual paths to use their facilities for meetings, meditations and celebrations. in the Vale of Avalon between the famous Glastonbury Tor and Chalice Hill. Romantic ruins, peaceful parkland, legendary burial place of King Arthur, 2000 years of history and mystery. has so far planted 47,200 trees in and around Glastonbury. Our very own local radio station! Glastonbury UK, on Soundcloud, is an online resource where, you can listen to local reports, features and music from England's best known home of the esoteric and mysterious, the magical and spiritual Heart Chakra of the world, historically religious and the place for alternative healing – magnificent Glastonbury. The Isle of Avalon Foundation runs a wide variety of educational programmes and courses. These programmes and courses put them at the cutting edge of teaching and learning in the fields of contemporary spirituality, the new age and personal development. Welcomes lesbian, gay, bisexual and transgender people with a local link to their regular events and meet ups. in and add your energy to the mix. Comprehensive listings: local services, therapists/healers, where to stay etc. through providing free information, advice and support about employment, self-employment, training and volunteering. Glastonbury official town council website. dating from around 2000 years ago, when much of Somerset’s landscape was covered by marshy sea. Although these marshes have long been artifically drained, the excellent preservative properties of the peaty wetland soils in the Glastonbury area left an archaeological legacy of international importance. esoteric library in the UK, perhaps even in Europe. 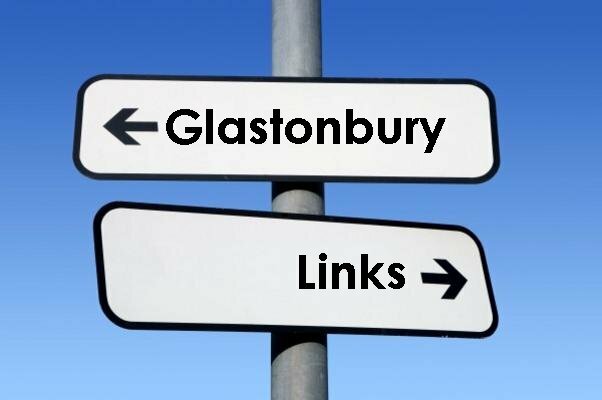 Link to Glastonbury Online and a list of local mail lists and online forums. Online version of a local monthly 'What's On'. Events listings, venues and local services. A Community Centre promoting sustainability,education and the arts. It was saved from demolition in 2008 by concerned local young people who had a vision for its future. Since then, a group of local people have met regularly to plan the transformation of the building into a dynamic enterprise and community hub that responds to local needs and opportunities. Somerset is described in reconstructed rooms and there is a lively events programme as well as regular temporary exhibitions. A network of local people working together to build a sustainable, vibrant community from the ground up. Where to stay, useful reading, historical sites, disabled access, events etc. Experience the white water of Avalon in a candle-lit inner place of sanctuary. Helping individuals, schools, play groups, church groups, and their leaders have arty fun by supplying cost effective, exciting craft materials. A community based charity, who collect local business waste (which is safe for re-use and otherwise destined for landfill) and then sells it to members for a fraction of what you’d pay on the high street.